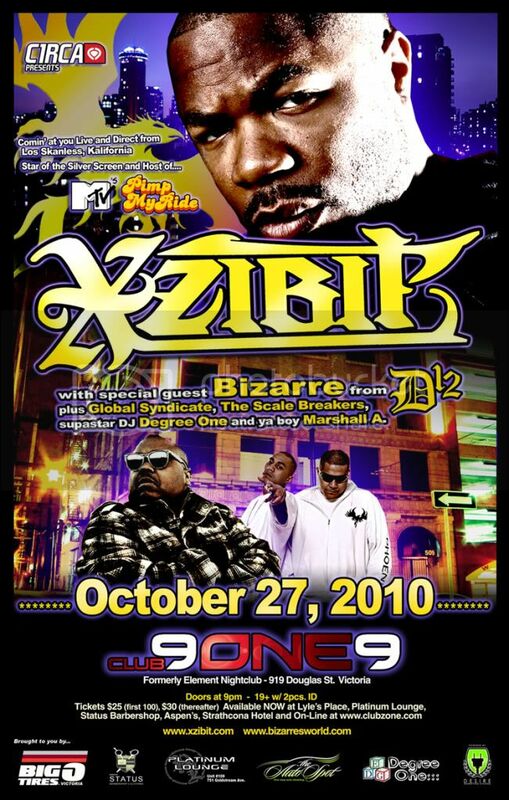 Mr. X to tha Z.. XZIBIT headlines his very first concert in Victoria! w/ DJ's Degree One & Marshall A. Platinum Lounge Westshore and Auto Spot Detailing.